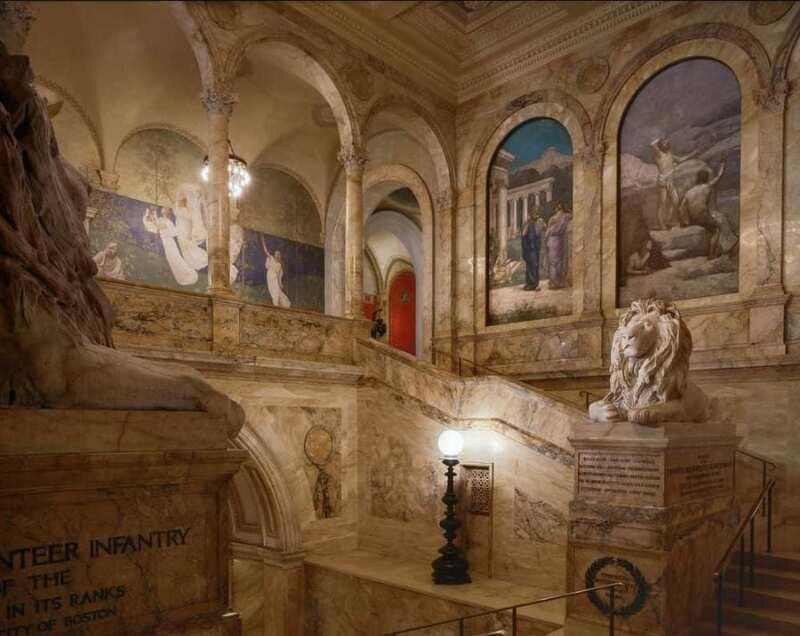 Boston Public Library Restoration | John Canning & Co.
Over a period of years and phases of historic restoration, Canning Co. used every facet of our extensive architectural arts services and skilled trades to restore multiple areas in the Charles McKim-designed Boston Public Library, including those which house extraordinary murals, compositions, and decoration by Beaux Arts contemporaries Puvis de Chevannes, Edward Austin Abbey, and John Singer Sargent. 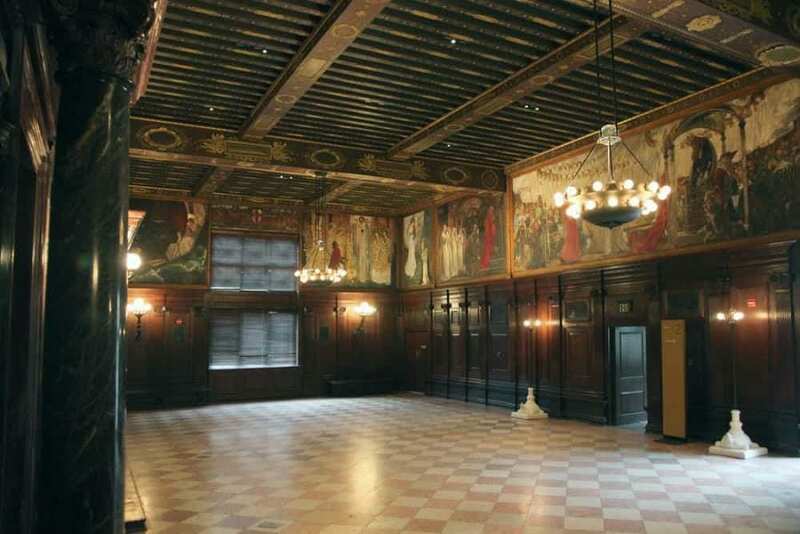 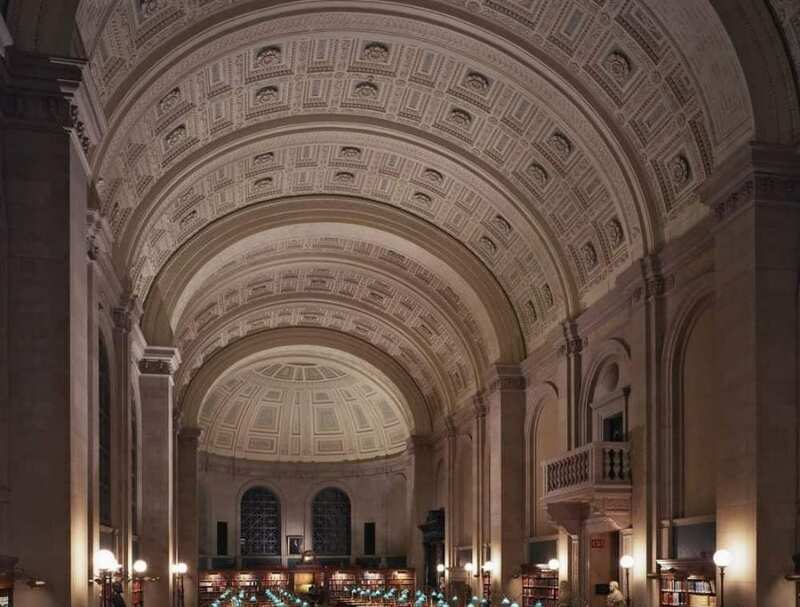 Canning Co. was repeatedly chosen over a period of years and project phases to provide our expertise in analysis, interpretation, and implementation of historic conservation and restoration services in multiple public areas of the McKim building at Boston Public Library. 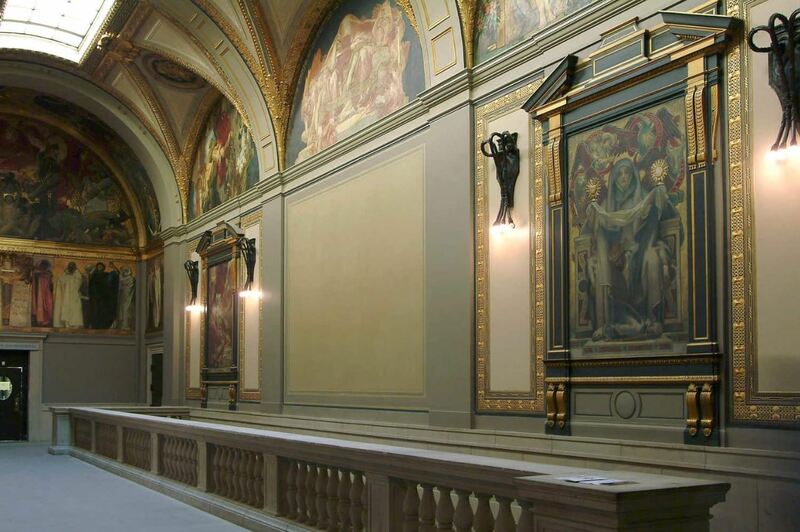 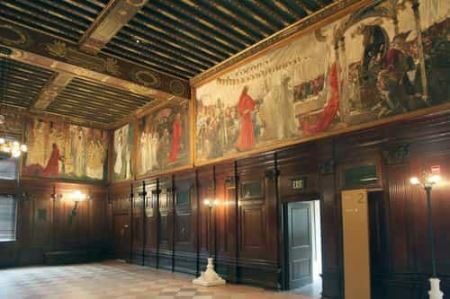 Bates Hall, Sargent Gallery, Abbey Room, French Room, and the entrance hall – each of these areas presented unique challenges owing to the creativity of artists Edward Austin Abbey, John Singer Sargent, and Puvis de Chevannes, among others, and their innovative use of materials in their decoration schemes.